Homework help, resources, and a place study. Always free. Homework Centers are comfortable spaces at the library where students of all ages can drop in and work on their homework independently or with the help of volunteer tutors. The centers are equipped with computers, printers, reference books, and school supplies for student use. Volunteer at a Homework Center. Volunteers are always needed! For more information about becoming a Homework Center tutor call 651-266-7420 or download an application. Arlington Hills: Monday - Thursday, 3 - 6 p.m.
Dayton's Bluff: Monday - Wednesday, 4 - 7 p.m.
Rice Street: Monday - Wednesday, 4 - 7 p.m.; Sunday, 1 - 4 p.m.
Riverview: Monday - Wednesday, 4 - 7 p.m.
Rondo: Monday - Thursday, 4 - 7 p.m.; Sunday, 1 - 4 p.m.
Sun Ray: Monday - Thursday, 4 - 7 p.m.
Spring is here, and Homework Centers are gearing up for the end of the spring semester. Online resources to help support your learning goals. Top 5: Free Resources for Snow Days! With Saint Paul Public Schools officially closed on Monday, January 28, we have pulled together the Top 5 free resources for snow days. As we inch closer to spring, science fair season is almost here! Library staff have pulled together these top 5 resources for science fairs. The new year is officially here, and Homework Centers are reopening for the spring semester on Monday, January 7. The Library has useful resources to get your History Day project started and take you all the way to the national competition in D.C.! As students return for the school year, know that the library is here to help!  Live online help from expert tutors, available every day, 1-11 p.m., with other homework services available 24/7.